Last year, we asked the question! Earlier this year we were disappointed at what was going on! The clues were there and we anticipated bad things looking into the future. 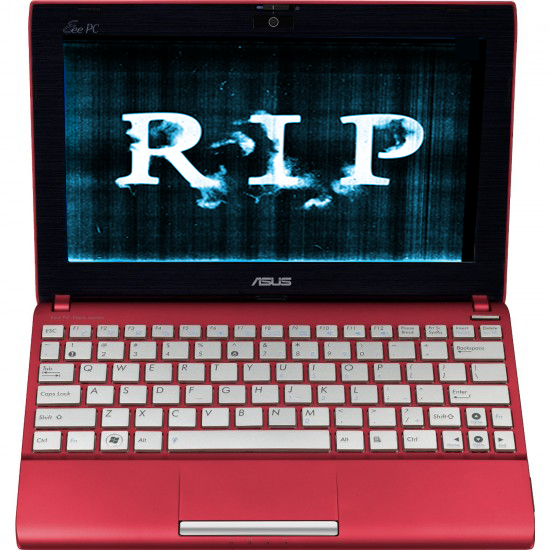 We told you 2012 wasn't going to be a good year for the Netbook segment, now it turns out to be the worst ever! In some very recent developments, it seems that ASUS, Acer and MSI are all set to pull out of the Netbook arena once and for all. According to news reports from DailyTech and Techreport, which seems to have originally generated from Digitimes, these manufacturers are about to resolve their existing inventory with no further plans to continue on future products! If you remember, Dell has already done away with Netbooks and now if the above story is true (there is no reason not to be!) - this could very well be the end of an era. According to the reports, these big OEMs no longer have any intention to update or refresh their existing Atom driven PCs a.k.a. Netbooks. 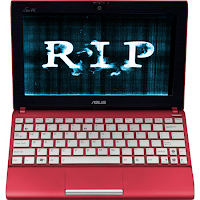 ASUStek has been possibly the most prolific and successful manufacturer of Netbooks since its inception with the well known Eee-PC product lines. So when we learn that it has halted all production of Eee-PCs, it kind of tells the whole story! Likewise both Acer and MSI will stop manufacturing any further iterations of their Aspire-One and Wind series of Netbooks respectively while the existing inventory will be in the market until stocks last. Together ASUS, MSI and Acer shipped more than 4 million units of Netbooks last year. The report sites recent drop in demand for such devices as the reason why these big OEMs are seeking a way out of this decaying market. For the last couple of years Netbooks/mini Notebook market has seen a sharp and prominent decline in overall shipment and market share which was enough to convince the manufacturers to abandon the segment. There is also talks of Microsoft's impending Windows 8 release and licensing fees associated with it; which would add to the cost of these devices making them even more unattractive to the common consumer. Fair enough, but the question remains- how it all came down to this? While it's not much difficult to find the answers, it's also not as simple as "Tablet killed the Netbook"! Back in 2007, when Netbooks first came to the limelight, there was a clear and noticeable gap in the mainstream PC market. Besides ubiquitous Desktops and fat Laptops, the consumer had very little choice of form-factors. Netbooks not only addressed the issue of portable from-factor and convenience but also offered significant efficiency and longer battery life to perform all your day-to-day digital errands. Fast-forward five years and your ARM based smartphone/tablet is capable of doing most of the tasks while being much more efficient and portable! So why would you need a Netbook for after all? We told you in this post that the only thing that could separate the Netbook from other ultra-portable devices, would've to be its performance which by the way is a sad story in itself! Atom was a good chip (at least power efficiency wise) back in 2007; right now it could do with an architectural overhaul rather than a few tweaks and updates! AMD was late to the game and has lot less market-share than Intel, so you might just excuse them for cancelling Wichita/Krishna. Also AMD's Brazos has already found its place in other segments, namely- HTPCs, entry level Notebooks and even low power file servers, so chances are it'll still be in the market for some times to come. But for Netbook Atoms (Cedar Trail based N2000 parts to be more specific) this seems to be the end of line. The Medfield Atom is a whole different story as it's targeted towards smartphones. But we don't think of this as a blow to Intel either as the firm is already pushing ultra-thin notebooks under the "UltraBook" name to fill-up the void. Ultrabooks can deliver a much higher level of raw computing and graphics performance while being much thinner than conventional notebooks. Thanks to the 22nm ULV (Ultra Low Voltage) parts, all this performance comes within a small power envelope (which will get even smaller with Haswell). 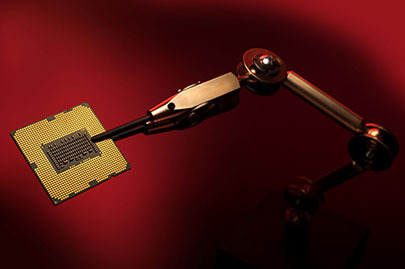 AMD isn't far behind in the ultra thin segment either as its own Trinity based A-series APUs are quite powerful and efficient chips. AMD is already shipping Ultra-portable notebooks with Trinity APUs alongside Brazos 2.0 based ones and prices are tangible enough to convince consumers to upgrade from a Netbook. Overall, it may feel a bit anticlimactic seeing how these ambitious little devices from yesterday ended up but the fact is there are not many surprising elements attached to it! The lines between different form-factors of computing and communicating devices are getting finer by the days. With the upcoming chips and technologies it'll get even blurrier. Not every form-factor and device will survive the test of time! Netbooks were a great little experiment, exploring some new possibilities at that time and while the market segment might go defunct- the concept will still be viable for a longer period of time.